1.Using Japanese original pump, strong air pressure, life longer. 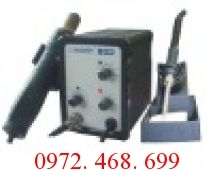 2.Air gun with nickel wire heating core and more durable. 3.It can use different types of air nozzle and can be used for a variety of blowing welding sizes,. 4.Using high-power transformers, can be continuously use a long time. 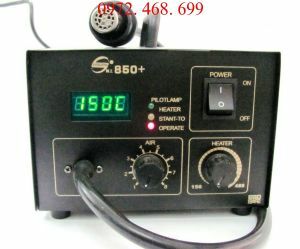 5.Iron body heat source using DC power supply to ensure anti-static, no leakage, no interference. 6.Circuit design is reasonable, you can independently control and conveniently use.